Is Smart Technology Putting You At Risk? According to CNN, identity fraud hits a new victim every two seconds. A new report from Javelin Strategy & Research has also found that the number of identity fraud victims jumped to 13.1 million in 2013, an increase of 500,000 from 2012. There is no denying that Americans today are at an increasingly high risk of having their identity stolen. When you add data breaches into the mix, like the ones involving Target and Home Depot, taking appropriate measures to protect your identity has become a critical part of securing your financial future. Pay attention to security breach notifications. Watch your credit cards and bank accounts. Don't give out your social security number unless it's a must! 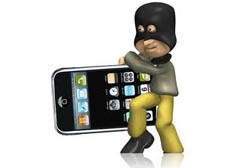 Keep your anti-virus software up to date on all devices --don't forget your phone! Put a password on your phone & computer and make it a strong one. Mix up the letters and numbers and make it difficult! It may be inconvenient initially but it takes victims about 30 hours and $500 to resolve identity fraud. Be careful what personal information you store on your devices and if you can -- don't store it. Leave your un-needed credit cards, social security card, birth certificate, and passport at home. Make sure you know who is on the other end of a call when you're giving out your personal information before you give it out. Where there's smoke - there's fire; if something sounds too good to be true, it probably is a scam. Still feeling unsettled? Ask your knowledgebroker about how to add Identity Theft Protection to your personal insurance policy.